Xiaomi’s Redmi Y1 Lite and Redmi Y1 to go on sale on November 15 at 12 P.M. exclusively on Amazon India website and Mi’s official website. Y1 series is the newest series of Redmi smartphones in India and some even says that it is rebranded version of Redmi Note 5A which was launched in China. Redmi Y1 Lite comes with a 2GB RAM and 16GB storage space while Redmi Y1 has two variants; one has 3 GB of RAM and 32 GB of space for usage and other one has 4 GB of RAM with 64 GB storage space. Talking about the price of the smartphone, Redmi Y1 Lite is priced at Rs. 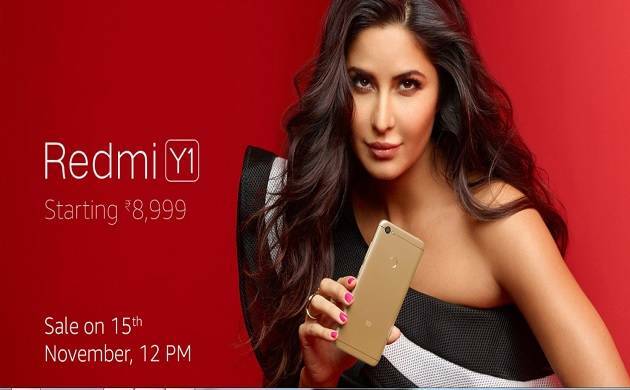 6,999 and Redmi Y1 is available at Rs. 8,999 and Rs. 10,999 respectively. In terms of specifications, Redmi Y1 Lite has a 5.5-inch HD display powered with a battery of 3080 mAh. It has a 13MP of rear camera and a 5MP of front camera and runs of MIUI 8, which will be upgradable to MIUI 9 later on. The phone is powered by the Qualcomm Snapdragon 425 processor. On the other hand Redmi Y1 is powered with Qualcomm Snapdragon 435 processor. The main attraction of this variant is its front camera which has 16MP lens with LED flash to capture sharper and more vibrant self-portraits. It also has 5.5-inch HD display and 3080 mAh of battery. Both the smartphones run on Android Nougat and supports two nano-SIM. The customers of these smartphone will also enjoy one year subscription of Hungama Music and 280 GB of data with Idea Network.